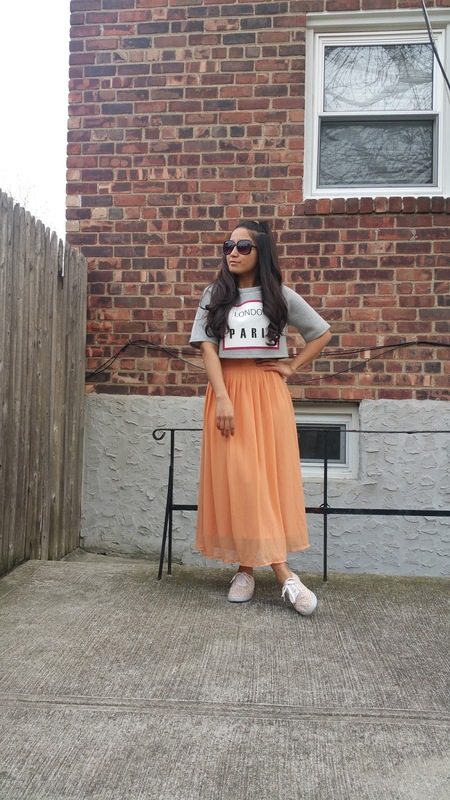 A very quick and super casual outfit post today. 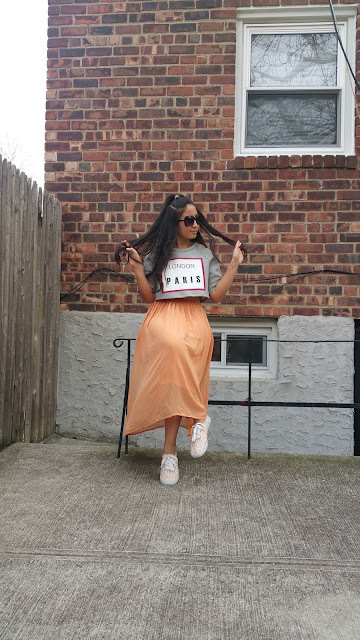 I have on a boxy scuba crop top with LONDON and PARIS printed on it. Paired the crop top with a flowy chiffon orange maxi skirt and floral shoes. Completed my look with a toned down Shih Tzu Ponytail. I loved your casual outfit!!! beautiful images happy weekends !! Lovely chic look. The skirt looks so pretty. Love your blog. Would you like to follow each other on GFC ? That skirt is amazing, the colour and fit is lovely! you look so cool! 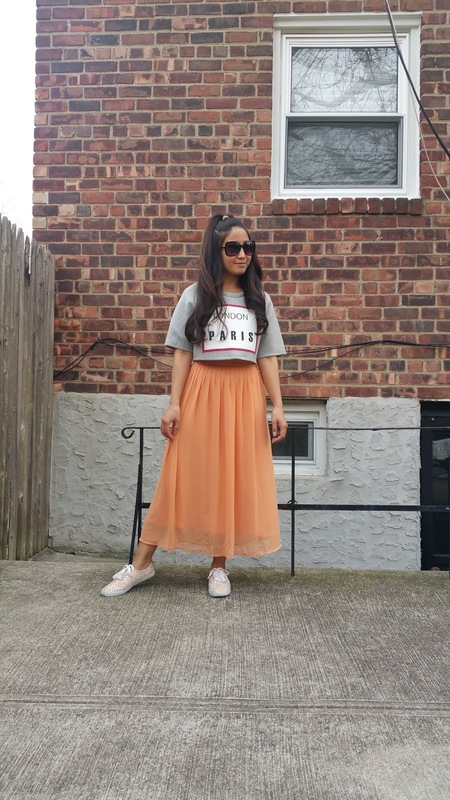 Love your crop-t! btw I had follow you, and would you following back? What a cute look Vikee! 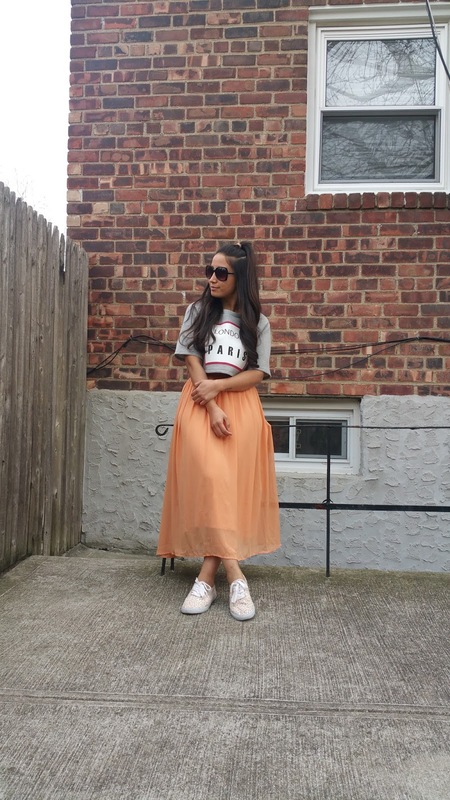 The crop top, maxi skirt, and sneaker combo is fabulous! Love the colors too! girl u are such inspiration! 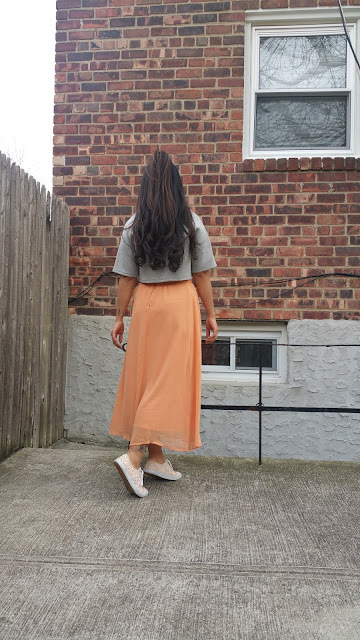 Love the length of this maxi skirt! You look beautiful! Yaaas, such an effortless yet chic hairstyle! Nice outfit, I love it, especially your pretty skirt, thank you for sharing, you look beautiful!! Great look hun, I love your maxi skirt! 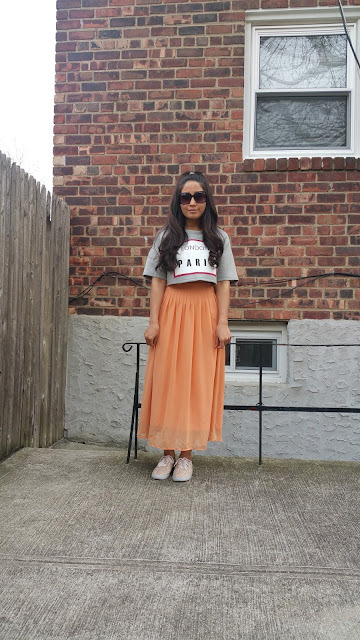 Really cute look. I see your weather is getting nice no jacket. That's such a cool outfit, I love it! The skirt is amazing and looks so good on you! Great outfit!!! Have a nice day! !